Run like smoke and oakum! 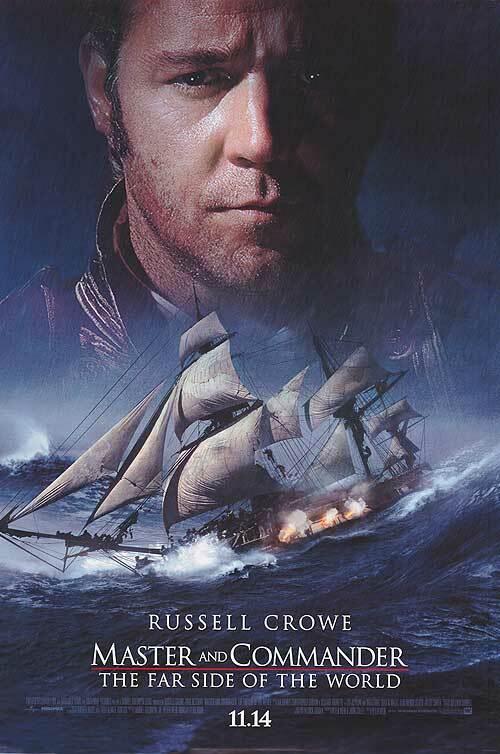 Russell Crowe working with a great director and interesting material has become something of a rarity, and if the narrative is on the episodic side the feeling of authenticity Peter Weir brings to the proceedings tends to eclipse such concerns. Cinematographer Russell Boyd had previously worked with Weir on Gallipoli and Year of Living Dangerously, and the film is gorgeous to look at, particularly the scenes on the Galapagos Islands. Crowe is playing to his strengths in a charismatic role, but Paul Bettany as the ship's doctor and Max Pirkis as the young midshipman (who was also notable as Octavian in Rome) impress most.